We are glad to inform you that the 19th European Congress of Pediatric Surgery will be held in Paris, France. The congress will take place at “La Cité des Sciences et de l’Industrie”, an original and spectacular place, in the heart of the multi-cultural site of La Villette. This is a Universcience site dedicated to exchange knowledge in advanced research, technology, new trends and education. Under the presidency of Prof. G. Riccipetitoni (Milano) we will work together to share with you a wonderful moment of scientific knowledge exchange in this very attractive place. 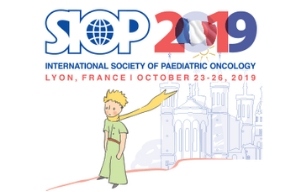 The EUPSA congress is the most important surgical meeting, gathering over 800 European pediatric surgeons including this year all the French pediatric surgeons (around 200 people) from the French Society of Pediatric Surgery (SFCP) and the Francophone Society of Pediatric and Adolescent Urology (SFUPA). The various topics covered during the congress are built around all the specialties within the Pediatric Surgery area. Europe is brightly represented but delegates from over 60 countries come each year at the meeting. 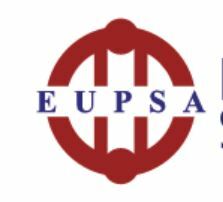 The organizing committee will be very grateful if you can help us in order to have one of the most memorable EUPSA congress, promoting continuous medical education in new technologies and medical knowledge for the health of thousands of children. Your presence during the congress will be for sure very encouraging in the field of pediatric surgery. Looking forward to seeing you in Paris. Dear friends and colleagues, Several healthcare workers dedicated to the care of children with cancer and their families in Africa were among the 157 people killed in the tragic crash of the flight from Addis Ababa to Nairobi. 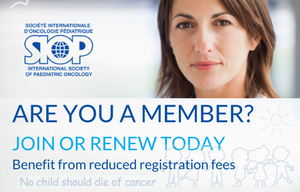 They were returning from attending the biennial continental conference of the International Society of Paediatric Oncology (SIOP), Africa, held in Cairo. Investigators from academic and cancer research institutions in Europe are invited to submit a note of intent by e-mail for a new cancer research project on or before 30 April 2019.